See here for the source code that generated the data. It is not merged there yet, so don't merge this before it merges there and I update the hash. The current open source mii data is pretty much a placeholder: it doesn't contains any real model. 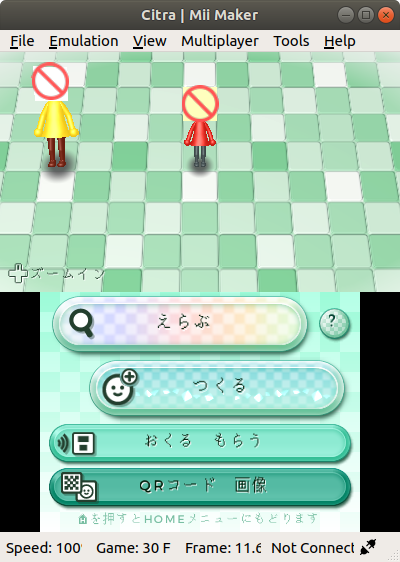 It only makes mii displaying a sign indicating that the mii data is missing. The purpose is just to prevent game from crashing. Better open source mii data implementation is welcome. is it possible to get the mii's to have faces if you want them too? @12Metatron you have to dump your mii data with godmode9. I made a godmode9 script that helps with this if you're interested.